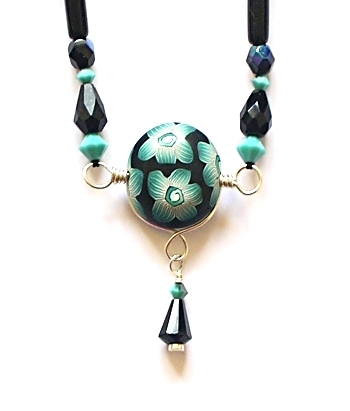 This wirework pendant grew out of a need to highlight a focal bead without overpowering it. The pendant can scaled down to make earrings. You can see some more variations here. 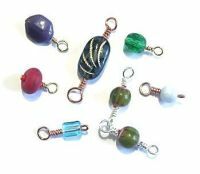 The complete step-by-step tutorial contains all the instructions and photos you will need to make your own pendant.